A logo, a menu, a wrapped truck, these things ARE marketing! Do you ever hear small business owners say they don’t spend money on marketing? I do. Constantly. As if spending money on marketing in some small business sin. 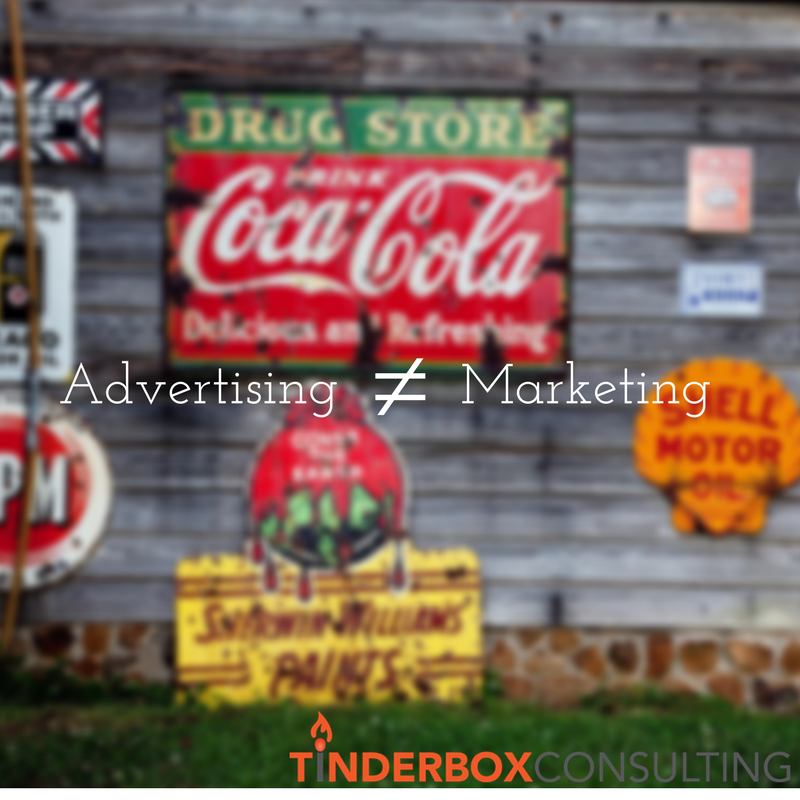 Except, what they are usually talking about is advertising, not marketing. When you pay someone to design a logo; when you have a custom designed menu for your restaurant; when your construction company wraps a truck, you are spending money on marketing. Business cards, signage, a website, social media, these should be considered pieces of your marketing plan. To that end, these tools should be serving a specific purpose and you should have specific goals for each. Heck, your sales strategy can even be considered marketing. So, my message to you, small business owner, is please take time to understand the difference between marketing and advertising. There are so many things you’ve done to market your business, be proud of those. Especially if those things meant you didn’t have to spend money on advertising. But don’t say you haven’t invested in marketing. You have. And that’s ok.